Hardcover, 10.25 x 10 in. / 144 pgs / 70 color. 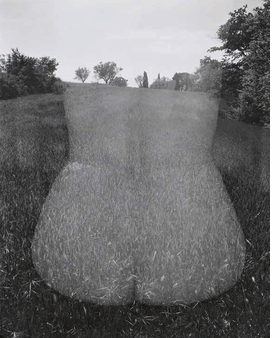 In 1956, when the photographer Harry Callahan was head of Chicago’s Institute of Design, he received Graham Foundation funding to create the project of his choice. On Edward Steichen’s advice he took a sabbatical year and headed to Europe with his wife Eleanor and his seven-year-old daughter Barbara. After two months in Germany, they lived in Aix-en-Provence from September 1957 through July 1958. Callahan had never left North America before, and his work had always focused on Chicago and the landscapes of the American Midwest. France proved to be a huge culture shock. Looking beyond what he called the “picturesque” aspect of the French town, he methodically set about a deeper exploration of his subjects. As always, he spent the morning outside with his camera and afternoons in the dark room. In France, Callahan created a series of nature studies, urban views and portraits of Eleanor, who had already been central to his work for 10 years and would remain so for another 50. 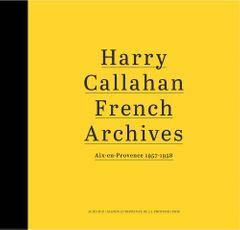 Callahan, who looked back on his time in Aix-en-Provence as a period of plenitude and absolute pleasure, donated 130 works from his “French Archives” to the Maison Européenne de la Photographie in Paris. This volume publishes a selection from that beautiful body of work. 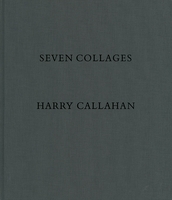 Photographer Harry Callahan (1912–99) was invited by László Moholy-Nagy in 1946 to join the faculty of Chicago’s Institute of Design. The school’s experimental philosophy helped Callahan develop a photographic vocabulary of formal abstraction and experimentation with light which he applied to the subjects he photographed for decades: buildings, nature and street scenes, as well as his daughter and his wife. FORMAT: Hbk, 10.25 x 10 in. / 144 pgs / 70 color. 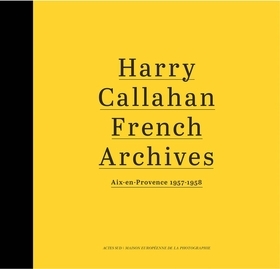 Published by Actes Sud/Maison européenne de la photographie.